shines to the ceiling and to the floor. Find the right one for every table. Floor lamp, puristik and slim. The flexible rail system for aesthetes. This is where light is being made. In Munich’s light manufactory SIGLLICHT it is the human being who has been at the center of light creations from the very beginning. This hasn’t changed in over 30 years until today. At SIGLLICHT, the experienced Munich light manufactory, lights, light planning and lighting systems are created, made by people for people. Made from material that is sustainable in two ways: firstly, because of its long life and secondly because of the consistent recyclability of all components. Buying a light, a system or a spotlight at SIGLLICHT means making a purchase for life. Every single of our great designer light collections remains a fixed component of the product range at Klaus SIGLLICHT GmbH in Munich. This also applies to spare parts, lamps, replacement parts and small parts. A lamp made by Klaus Sigl Manufactory in Munich’s Körnerstraße does not only have to meet the highest aesthetic requirements but, more importantly, has to be perfect from every technological point of view. Therefore it’s most of all the intelligent control modules that make the light creations of SIGLLICHT so very special. All lighting systems, wall lamps, suspended lights, floor, ceiling and designer lamps are easy to operate. This starts with handling the movable elements and ends with replacing an illuminant or lamp. The LED lighting systems equipped with colour control and dimming function are controlled by intuitive touch pads and specially developed apps for perfect haptic and visual experience. A major part of our designer lamps is equipped with colour changeable and/or dimmable white-light LEDs. This is what makes the light experience so special and suitable for any situation. You can control every light via a touch pad discreetly integrated in the light body. We call it LightModul. By a gentle touch you can dim the light or change its colour to create the atmosphere you like. 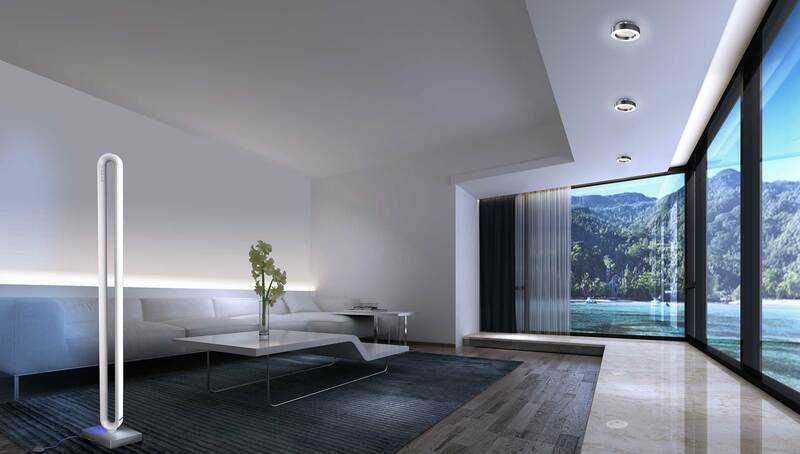 We optionally equip the LightModul of our designer lights with a Bluetooth sensor. This interface allows you to control every lamp via our very own app. This technology gives you the opportunity to use your smartphone or tablet as your personal remote control. This is light comfort at the highest level. For the most suitable lighting atmosphere on every single day. In our manufactory all our designer lights are made by hand. Therefore you can rest assured that you will purchase a light where nothing is left to chance. SIGLLICHT manufactory stands for design and top quality. The experience of light may be very superficial, if you solely rely on looking at a website or catalogue. Therefore we are looking forward to your visit to our light studio in Munich’s Körnerstraße. Here you will get to know how beautiful and inspiring the effect of light can be. It takes a lot of know-how, a lot of experience and a lot of passion for light to “put something into true light”. We can offer you all this when you trust us with your light planning. For light that will inspire you in every way. Lights for Munich from Lichtmanufaktur SIGLLICHT: that is pure aesthetic on greatest technical standards. In general you, as clients of SIGLLICHT GmbH have the choice between halogen engineering and lights on LED basis. Both light variations are very economical with electricity and in addition have a long life. LED engineering is flexible in color combination and dim ability. However, halogen lights give more natural light. As for all aesthetic parts of life, it is a matter of opinion, what your best lighting concept is. You can figure this out best, if you experience all light creations and lamps in Munich personally. At SIGLLICHT studio in Munich, Körnerstraße you get the opportunity to do so. Our latest collections like “SIGLLICHT Loop collection” or “SIGLLICHT Tisua Line” are presented there. Both have already won important design awards like “RedDot Award” and the “German Design Award”. Get inspired by amazing light compositions of all presented lamps and lighting systems at this exhibition. Every single piece is created by Klaus Sigl and his designer team and also handmade in our own manufacture in Munich. Let us demonstrate, how impressive light emotion of such art pieces can be and calmly pick your favorite. Room light is a defining factor for your wellbeing and comfort in your home. With light creations of SIGLLICHT manufacture you can enrich your day-to-day life and let your living rooms shine in completely new light. Individual, aesthetic and with a flattering intensity. All creations of Munich manufacture SIGLLICHT are with sold by specialist retailers with out exception. For orientation you should order one of our recent catalogues, with all available collections and single products, just yet. Light form people – for people. And for all senses. Create yourself a surrounding full of energy and profoundness.